Here are some of the most common causes of creaky roofs. While you may think that your brand new home should be in great shape (which I am sure it is) you probably don’t expect it to make any noises. Especially not at night, while you are in bed with a great crime novel or the like. But new homes are often made from new materials which means that wooden beams that are used to support the roof, the floor, the attic and other stabilizing elements of your home can still retain some moisture. As this moisture dries up, your wooden beams may start to creak. Another reason may be that your home and the ground it is built on are still settling, shift in foundations can lead to your roof becoming noisy. To ensure that there are indeed no roofing issues, have your local Phoenix roofer do a routine maintenance roof check. That way, he can fix any problems as soon as they are spotted. Whether you have your HVAC unit running or not can also be a reason for a creaky roof. While the AC is running in those hot summer months, it not only cools down the house, but also part of the roofing structure and in addition works like a dehumidifier. Because in Phoenix we basically go from cooling the home to heating it in just a few weeks, your home and roofing structure will expand or shrink depending on the change in temperature. Now that Phoenix has cooled down for the winter, so has your home. And not just the building materials, but heating/AC ducts and water pipes as well. Our outside temperatures dip below freezing a few times every winter. This means that your outside water pipes may freeze and then unfreeze during the day. But since everything is connected in one way or another inside your home, chances are you will hear the contraction and expansion of said pipes. Likewise your AC vents can get creaky too. And because they are generally located in the attic under the roof, you think your roof is making that sound. Leaks can also be the cause for weird noises coming from your roof and it doesn’t have to be a trickling noise either. If you have a roof leak, or a leaking HVAC system surrounding materials will get wet and change their shape, thus creating creaking noises. No matter what the cause of your noisy roof may be, it is always better to be safe and not sorry. Contact your experienced Phoenix roofing company for a roof inspection to make sure that the noises you hear don’t pose any safety hazard. 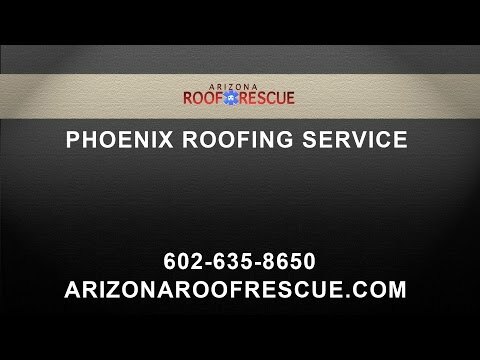 Arizona Roof Rescue is available to perform roof repairs and inspections in Phoenix and surrounding areas. To learn more about our roofing services, contact us today.